In the southwestern tip of Manhattan, you’ll find the 92-acre community known as Battery Park City. While this neighborhood’s popularity is growing at an unprecedented rate, nearly a third of this planned community is still parkland. This, in addition to its proximity to great schools and views of the water, makes Battery Park City one of the best places in New York to raise a family. With so many ball fields and an abundance green space, you’d never know you were still in the city limits with the feel of this quaint neighborhood. Families are constantly growing in Battery Park City, and that means more stuff! What are you going to do when the house gets too full? What about affordable and flexible moving services? Well, let Zippy Shell in Battery Park lead the way! That’s right, Zippy Shell, Manhattan’s most convenient and affordable mobile storage solution is now available in Battery Park City! 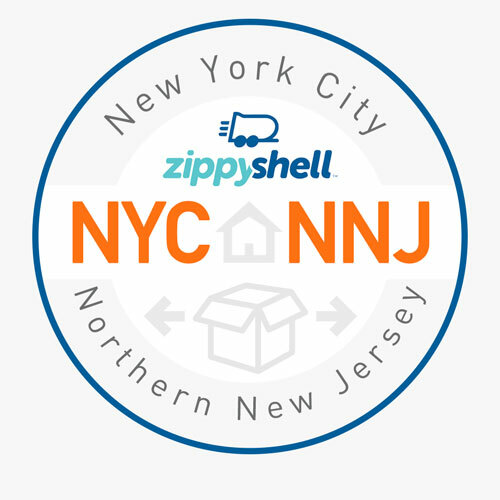 Whether you’re moving in or out of New York City... decluttering or downsizing, no one makes moving and self-storage in Manhattan easier than Zippy Shell! Zippy Shell offers unbeatable convenience when it comes to storing your stuff. We’ll save you time, so you’ll be able to take a stroll through the park and check out the unobstructed views of the Freedom Tower. There’s no trick. Because Zippy Shell mobile storage units are completely street legal, we can deliver them right to your door, no matter the neighborhood! And what’s more convenient than having a portable storage container that you can load at your leisure right in front of your home? When it’s full, we’ll pick it up and take it away. Have a driveway? Even better. Keep those street spots open, and let us park it there. Once we deliver a Zippy Shell portable storage unit to your address, you load it, we pick it up, and we store it for as long as you want. Just need one night? No problem. How about a year? We can do that too. Whatever amount of time you need, rest assured that your belongings are being kept in our safe, secure, climate-controlled storage facility until you’re ready for us to drop them off. It’s that simple! Do you want to know the very best part about our moving services and storage containers in Battery Park City? Our portable storage solution is also the most affordable in the area! Let us prove it to you now! Contact Zippy Shell to see how little it costs and to arrange delivery of your portable storage unit today!